Green Book Awards Announced | A Practical Peacemaker Ponders . 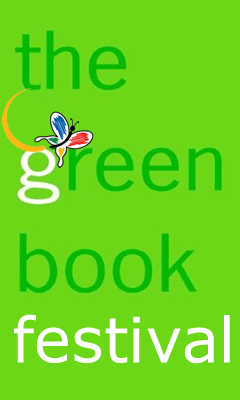 . .
Organizers of the Green Book Festival, to be held later this month in San Francisco, have announced the winners of book awards in over a dozen categories. * I learned of this because a book to which I contributed a chapter was the winner of the Business category. The book, Greening Libraries, published by Library Juice Press in 2012, showcases librarians who have pioneered ways to educate their patrons about environmental and sustainability issues. My chapter, “Library-Sponsored Sustainable Living Outreach in Denver,” describes programs I and a few other librarians working for the Denver Public Library have implemented toward that goal. [I am now retired, but worked as a DPL librarian for 14 years.] These programs included successfully urging a large library fundraising event to “go green” with recyclable table service, locally produced foods, and website information about libraries’ environmentally beneficial aspects. We created “infomarks” (like bookmarks, but including DVDs and other media) that listed available resources the library offered on topics like global warming and peak oil, local and sustainable food, gardening, efficient transportation, and energy conservation. We put up displays in the central library on similar themes, while informing the public about local environmental organizations. We offered bicycle maintenance workshops, and hosted author David Korten to lead a community conversation on “What Does a Healthy Economy Look Like and How Do We Get There From Here?” And much more. These were the highlights of the chapter I wrote about local Denver efforts, but the book is national in scope. Librarians across the country describe what they are doing through their library systems to build support for a wide variety of green actions in their communities. Glancing through it is encouraging: lots of talented people are working to transform public awareness on issues of critical importance to our collective future. *One of the awards went to a book on veganism and the environment: Comfortably Unaware by Dr. Richard Oppenlander.